Hi, my name is Agnes, and I am the General Manager here at Oulton Park. Welcome to our website! It’s good to have joined the Barchester team here – and what a lovely welcome I was given! I trained as a nurse in Dublin, and I have worked with a variety of people who range across a vast spectrum of abilities, meeting some of the most amazing children and adults who have taught me everything I know. I am extremely lucky in that I have also worked alongside some incredible people who have worked tirelessly to enhance the lives of those they support. I would describe myself as someone who enjoys the training and development of my teams. I feel at this stage of my career I am responsible for preparing the next generation of nurses and carers, as the care sector is ever-changing. I have been described as easy to be around, and I enjoy good humour. I try to cultivate a work environment that people are happy to be in. I live close to the sea, so I enjoy a nice fresh walk every day to clear my head and prepare for the next day and the challenges it brings. I will always be found with a book, as I do really enjoy reading about a multitude of things. I love travelling and have enjoyed visiting many places far and wide. I don’t enjoy sitting on a beach or by a pool; it’s a big world out there waiting for me! I’m looking forward to this chapter of my life and the excitement of being here at Oulton Park, and meeting colleagues from the region in due course. Hi, my name is Lacrimioara 'Lilly' Mason. 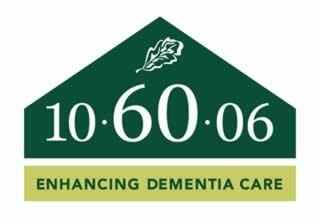 I am an experienced and knowledgeable nurse with a real passion for mental health, particularly the care of those living with dementia. I strive to improve the quality and outcomes for the people in my care. I lead by example in the hope that my passion inspires those working around me. I joined Barchester as I feel that the company has the same values and aims as me, and I look forward to many happy years working here. Hi, my name is Norma, and I am the Head of Hawthorn & Poplar here at Oulton Park. Hi, my name is Andrea and I joined Barchester in 2013. I have been the Administrator here at Oulton Park since 2016. I am responsible for the running of all the financial aspects of the home. It is my aim to provide an efficient service to residents, relatives and staff alike. Hi, my name is Heidi and I have been at Oulton Park since January 2009, firstly starting as a Carer then, in December 2012, I became the Activities Coordinator on both units. I am always searching for new and exciting activities for residents to take part in at Oulton Park. All events and daily activities are planned to enrich their lives and, of course, to be fun and stimulating for them. Myself and Andrea work closely together to create and provide a varied exciting plan of activities for everyone. We love seeing their happy faces when a plan comes together and they enjoy whatever it is we have organised for them. We strive to constantly improve our activities programme and to personally improve and further develop within our job roles. My name is Gemma and I have been with Oulton Park for over 10 years. I first started as a Hostess then, after 6 and a half years, I moved into the kitchen to become a Kitchen Assistant, eventually moving to the role of Admin Assistant, which I really enjoy! Oulton Park has become a second family to me and I enjoy turning up for work every day. We have a really hardworking team and a very supportive General Manager. Getting to know all the residents and their families too is fantastic. Hello, I have been working at Oulton Park since January 2017 and find my job really fulfilling and rewarding. As Maintenance Manager. Peter makes sure the home is looked after to a high standard. He is also the key contact on site for outside contractors. He will make sure that residents' stays here are a trouble free and as comfortable as possible. Paula is responsible for the overall operation of the housekeeping department and upholding the highest standard of cleanliness and safety. The housekeeping team also maintain good relationships with all the residents and will always find time for a chat and a friendly smile. Amy is our hairdresser and is here all day on a Tuesday.